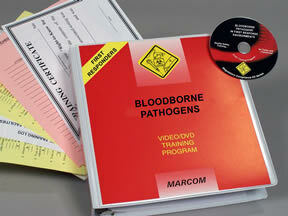 Description: MARCOM’s ''Bloodborne Pathogens in First Response Environments'' Videotape Program... updated to incorporate the latest medial language and guidelines... has been specifically created to assist facilities in fulfilling the OSHA Bloodborne Pathogens Standard's (29 CFR Part 1910.1030) training requirements. Bloodborne diseases are a serious concern in the United States. ''Hepatitis B'' infects over 70,000 people annually, and has over one million ''carriers'' in the U.S. The HIV virus, which usually leads to AIDS, currently infects over one million people. 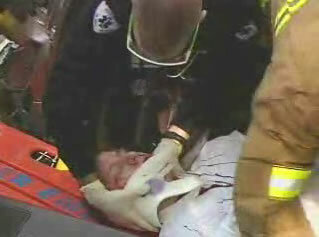 Because of the increasing problems with these diseases, in 1991 OSHA passed a ''Bloodborne Pathogens'' regulation.